The last frontier. 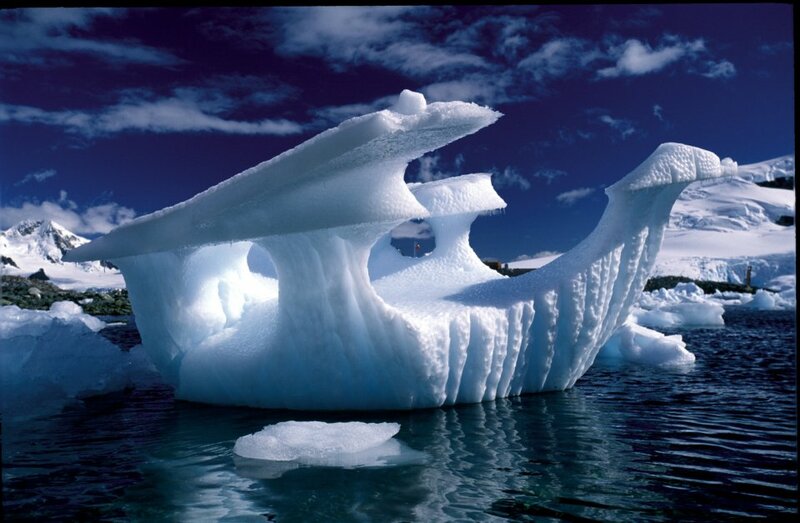 Antarctica is a dreamed destination of tourists & explorers around the globe. 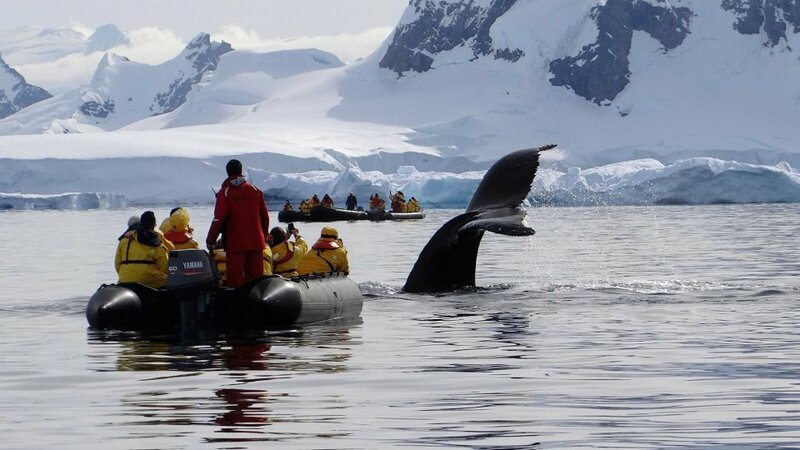 Each year, approximately 30 thousand travelers fulfill this dream and reach Antarctica to enjoy its stunning natural scenery and its overwhelming showcase of wildlife. Speculation over the existence of a "southern land" was not confirmed until the early 1820s when British and American commercial operators and British and Russian national expeditions began exploring the Antarctic Peninsula region and other areas south of the Antarctic Circle. Not until 1840 was it established that Antarctica was indeed a continent and not just a group of islands or an area of ocean. 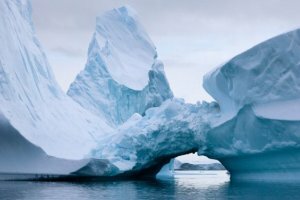 After World War II, a number of countries have set up a range of year-round and seasonal stations, camps, and refuges to support scientific research in Antarctica. Seven have made territorial claims, but not all countries recognize these claims. In order to form a legal framework for the activities of nations on the continent, an Antarctic Treaty was negotiated that neither denies nor gives recognition to existing territorial claims. 5,405,403 Square Miles, it is the fifth-largest continent, following Asia, Africa, North America, and South America, but larger than Australia and the subcontinent of Europe. It is approximately 1.5 times the size of the U.S. 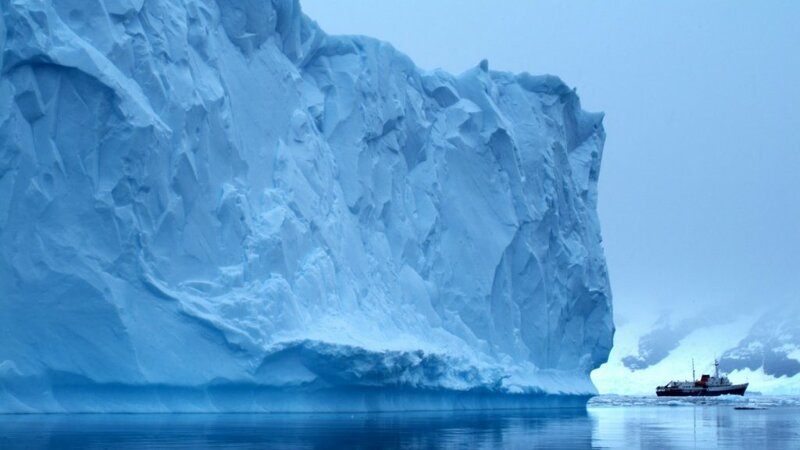 Severe low temperatures vary with latitude, elevation, and distance from the ocean; East Antarctica is colder than West Antarctica because of its higher elevation; Antarctic Peninsula has the most moderate climate; higher temperatures occur in January along the coast and average slightly below freezing. 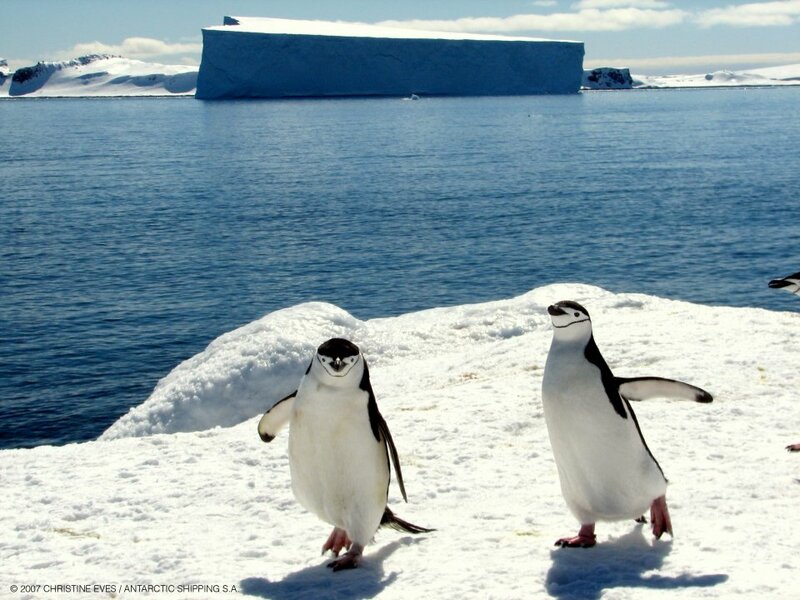 Antarctic wildlife is at its most active during the southern summer. The beauty and solitude of Antarctic seas and mountains conceals the frantic activity of the shoreline colonies of birds and mammals. In this five-month period, from November to March, we operate our expedition cruises aboard the USHUAIA. Summer arrives first in the South Shetland Islands and spreads south along the Antarctic Peninsula. 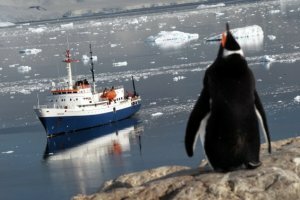 As the Antarctic year progresses, from spring to autumn, the Antarctic Peninsula and surrounding islands change in appearance and character each season offering a different range of spectacular sights and possibilities to the visitor. After the winter darkness, spring fever hits Antarctica and the sun causes an explosive growth of phytoplankton in areas of mineral upwelling. The phytoplankton provides food to the astronomic swarms of zooplankton, including krill. Krill forms the base of the food chain for squid, fish and ultimately for seabirds, seals and whales, which flock in to fatten themselves and to produce their young. • Crabeater seals are born between September and November. • Elephant seals guard their harems aggressively until December. • The first big whales come down to Antarctica to feed, among them humpback, Minke and southern right whale. 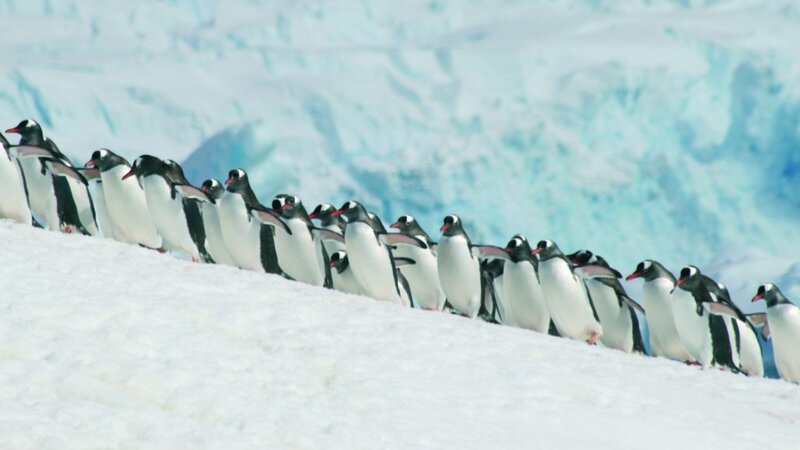 • Amazing displays of the penguins' courtship ritual, including nest building, sky pointing and stone stealing. • Penguin, petrel and cormorant eggs are laid in November and December. • Penguin chicks start to hatch at the end of December in the South Shetland Islands. • Wintering scientists at the research stations welcome the first visitors of the season. • Longest days in December create longer daylight hours - photographs can be taken at midnight! • Last winters sea-ice offers sometimes spectacular sailing among the floes with seals everywhere on the ice. 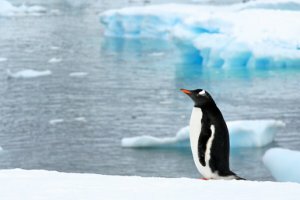 In Antarctica's warmest months wildlife activities are in full swing. Most penguin chicks hatch in January, earliest in the South Shetland Islands and later more to the south at the Peninsula. The frantic activity continues in the colonies in February as the young get older and bolder and are gathering in crèches. • Fur seal and leopard seal pups are visible. • Whale watching is at its best in February. • Penguin colonies at their busiest, fetching krill and feeding chicks. 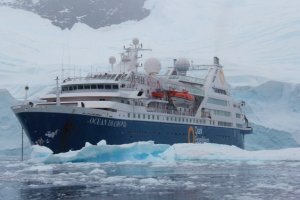 • In February receding ice allows exploration further south along the Antarctic Peninsula. • Concentration of fur seals increases. Nightly darkness returns as the sun sinks farther below the southern horizon, but temperatures are still above zero, though we may experience a touch of Antarctic winter with night frosts, creating beautiful patterns of thin sea ice on the surface. The snow cover is at its minimum allowing for easy and extensive walks in the South Shetland Islands. • Penguin chicks are in their adolescent state now and quite curious about visitors. • The adult penguins moult and the young go to sea. 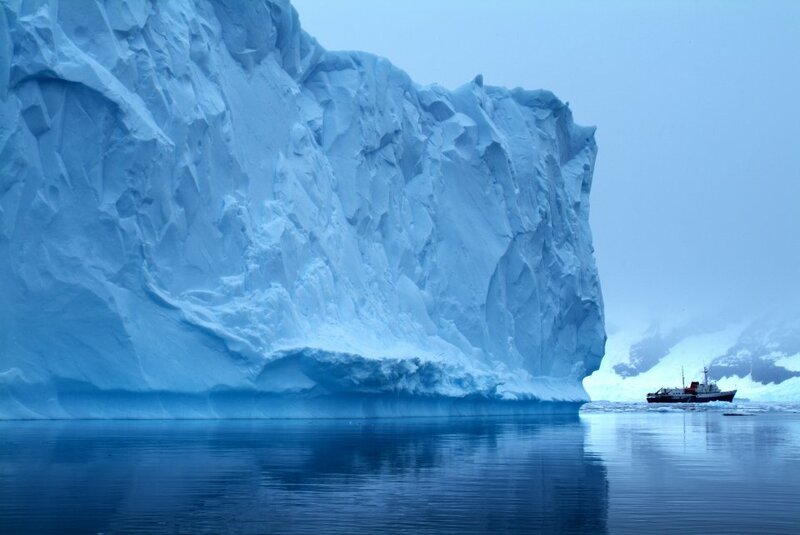 • Receding ice allows exploration farthest south along the Antarctic Peninsula. • Spectacular green and pink algae blooms on snow-slopes and ice cliffs. • Whale watching is still very good. In Falkland Islands and South Georgia, spring and summer arrive earlier than in the South Shetlands & the Antarctic Peninsula; and consequently the breeding activities of sea-birds and sea mammals start earlier there. South Georgia is home to several birds with a cycle longer than one year, so eggs and young in King Penguin colonies can always be found from November to March. November is full spring in South Georgia; comparable with December in the South Shetlands, but without sea-ice. You can now visit the Antarctic Peninsula and South Shetland Islands in the comfort of the USHUAIA. From the southern spring; onwards, large birds and sea mammals gather at breeding colonies, and the ceaseless daylight of the southern summer makes exploration in this incomparable landscape a unique experience. 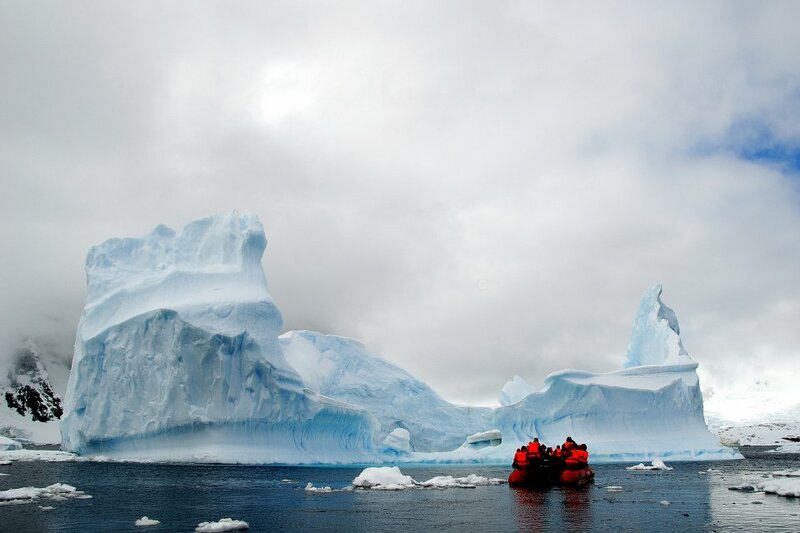 … Our expedition cruises are trips of a lifetime! For complete vessel information please click here. 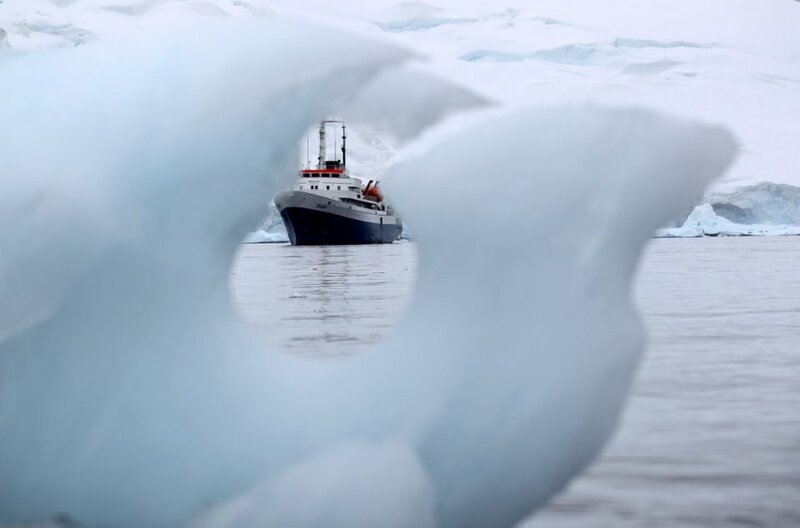 Embark on a once in a life time Expedition Cruise to the Antarctic Peninsula, the South Shetland Islands & the Weddell Sea, aboard the USHUAIA. Originally built for the United States agency NOAA (National Oceanic & Atmospheric Administration), the USHUAIA has been refurbished to accommodate a maximum of 84 passengers in 41 comfortable twin cabins and suites. 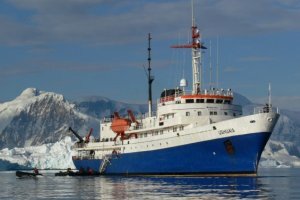 The ice-strengthened polar vessel USHUAIA is very well appointed and provides ample deck space and an open bridge policy. The full complement of inflatable landing craft ensures superb landings and wildlife viewing opportunities on the otherwise inaccessible coastline. The Ocean Diamond is a modern, stable super-yacht, and one of the largest of Quark's small expedition ships. Carrying a maximum of 189 passengers, and with two stabilizers and an ice-strengthened hull, this outstanding vessel is ideal for polar expeditions. Let us tailor your journey to meet your requirements, expectations and budget. Fulfill a dream. 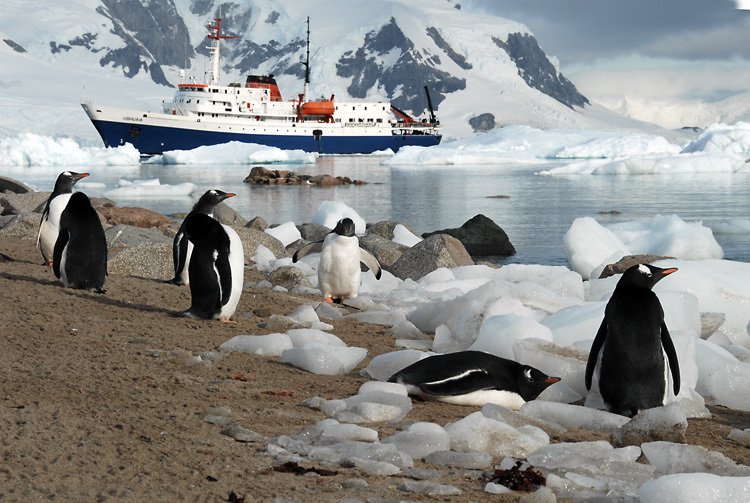 Book your Antarctica cruise by December 31, 2019, and save 5% of the published cruise only rates!